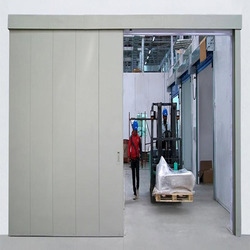 Prominent & Leading Manufacturer from Bengaluru, we offer sliding wooden doors, fire rated sliding door, industrial glazed sliding doors, automatic sliding fire door, motorized sliding fire door and automatic steel sliding doors. 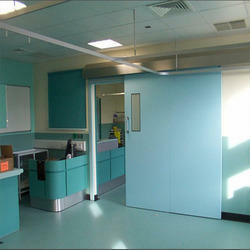 We are renowned on the market for our range of Sliding Wooden Doors that are quite popular among our clients. 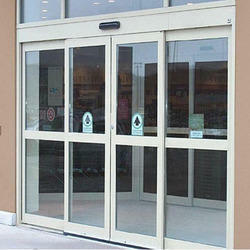 Catering to the demands of the domestic as well as commercial sector, we are offering Fire Rated Sliding Door to the clients. Catering to the demands of various industries, we are providing a wide collection of Industrial glazed sliding doors to our valued customers. 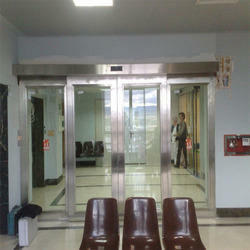 Automatic Sliding Fire Door filled with High-Density Honeycomb Insulation, with Top, Side & Housing Rails. 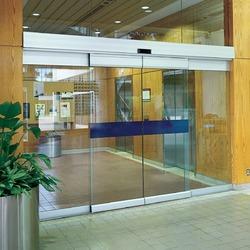 Motorized Sliding Fire Door controlled by Fire Detection. No obstruction on the Floor - allowing free and smooth movement of Men and Material. 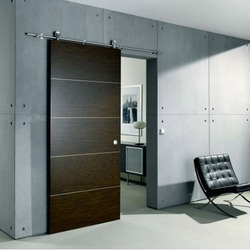 We have achieved a reputed place in the industry despite huge competition for manufacturing, supplying and exporting a remarkable range of Automatic Steel Sliding Doors.